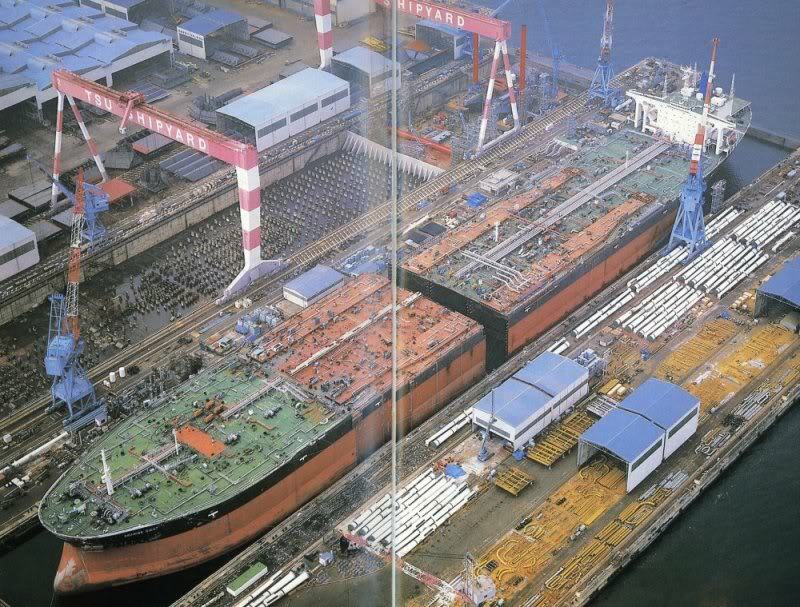 Launched as "PORTHOS" Completed as "OPPAMA", sold as "SEAWISE GIANT". See also : 3D Drawings "Knock Nevis" & Model of the "Seawise Giant"
14/05/1988 bombed by Iraqi aircraft at Hormuz Terminal (3 dead) & declared CTL. 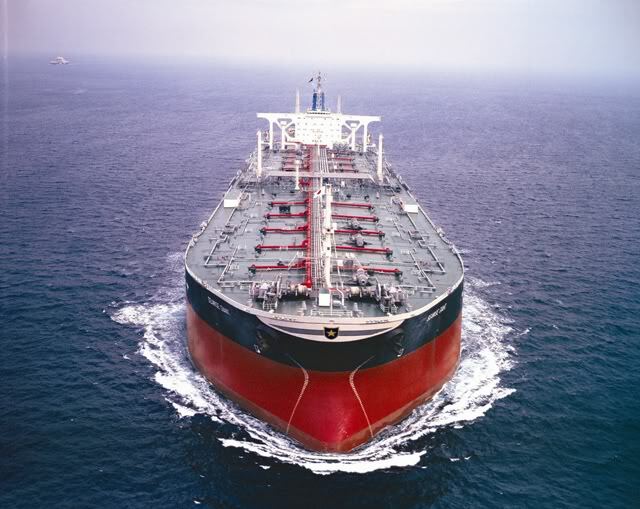 "Seawise Giant", on sea trails, before se was lengthened. "Seawise Giant", new mid-section ( 82 mrt.) 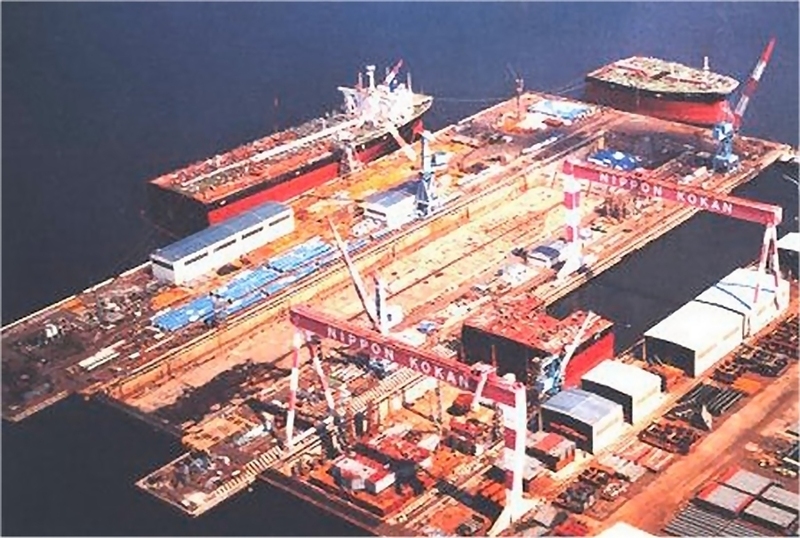 is being built for lengthening at the Sumitomo shipyard. 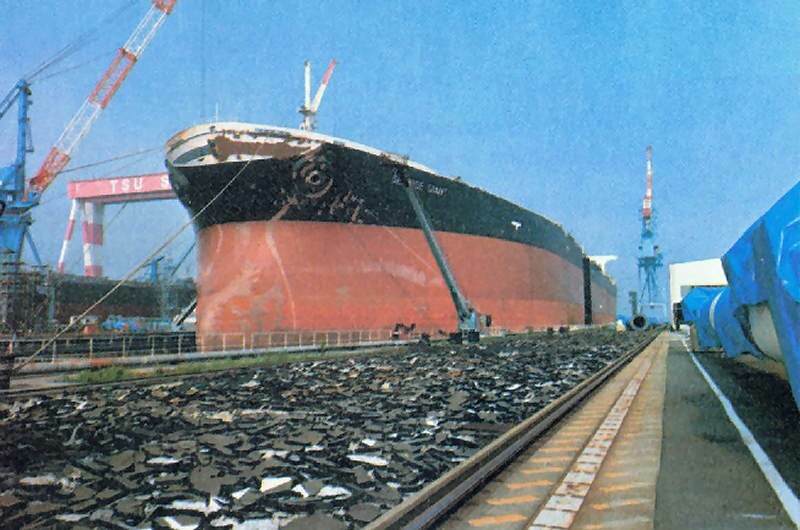 Photo in a newspaper when the "Seawise Giant" was cut in two, the three parts, from photo above, are put together in dry-dock. "Seawise Giant" on sea trials after she was lengthened. The contract is for three years with an option for Maersk Oil for further two years. The contract period is expected to start Juni/Juli 2004. 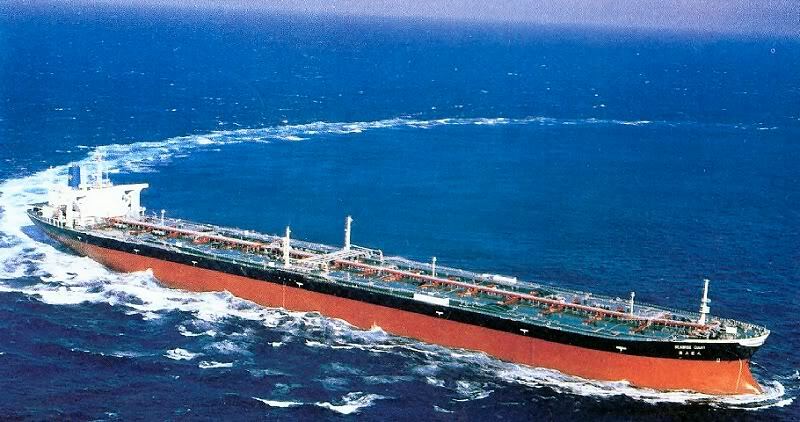 12.1979 Sold as SEAWISE GIANT] - Universal Petroleum Carriers Inc.